I’m Dreaming Of A WINE Christmas!! Follow MY THEORY if you will: It is the THOUGHT That counts right???? Don’t you hate getting a GIFT CARD for a present?? I do! This demonstrates that you put NO THOUGHT into my gift. Same thing with WINE. 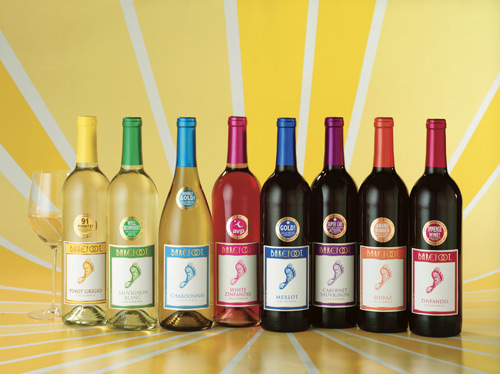 The brands of wine that people chase after even on the expensive side are available at Supermarkets, Costco (Number One Wine Retailer In America) and some in drug stores and gas stations. If your shopping cart looks like this for the people on your list you need my HELP NOW!!! The next phrase I hear over and over with regards to the picture above is “Larry, you don’t understand my situation. I have to buy wines for 100 people. My Hairdresser, My Gardener, My Secret Santas, My Mechanic and I just can’t afford more than $5.00 per bottle as I am not RICH”! I DO UNDERSTAND. What I hope YOU will understand is the first picture are wines that are available next to the motor oil in every single gas station in America and the second picture is good drinking California Wines that have a VINTAGE on them and are only available at select wine retailers. Guess what??? The wines in the second picture cost $5.00 per bottle as well but which choice do you think will make the recipient of the gift feel like you actually put a bit of thought into their gift and which picture will make them think you picked up their Secret Santa gift when you were buying deodorant at the local Drug Store? Are you getting the idea??? Let’s illustrate typical examples of purchases people make during the holiday season. The first picture will be what I think is the wrong choice and more expensive choice and the second picture will be the one that makes a person feel special and is less expensive. 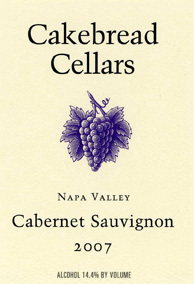 The 2009 Fall Line Cabernet from Washington State just rated 92 Points by Robert Parker. They only produce 2,000 cases per year and it is not a blend. It is 100% Cabernet Sauvignon and is difficult to find but a Fine Wine Retailer should carry this in your area. If not, check out the winery website online or other online retailers. In Florida, write me an e-mail and I will tell you where to find this gem. It is delicious…plussss Cost is $27.99 and the person will think you gave them a 4 carat diamond. Ah Some Fava Beans and a Nice Chianti. 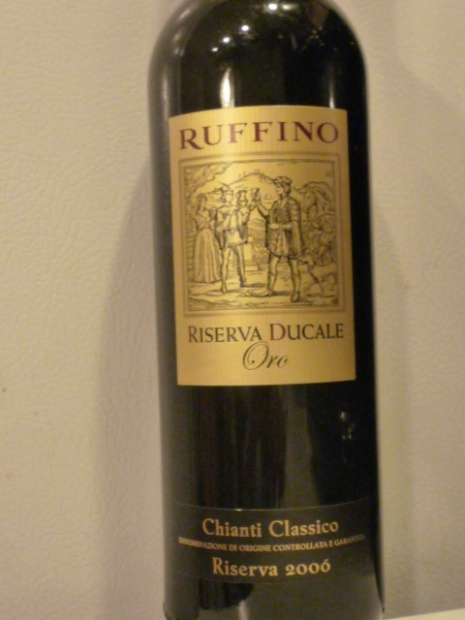 When it comes to buying Chianti..The Big Name is Ruffino. The Gold Label is a Chianti Classico Riserva and I haven’t been to a single supermarket in Florida that doesn’t sell this product and yes, I did find it available at a Gas Station. This was not your ordinary Gas Station this one had a Brushless Car Wash !!. It’s not a Bad Wine but very very generic and cost $40 per bottle. No thought will be perceived by your guests except that maybe you took your Toyota in for a Detail and purchased their Holiday Gift. 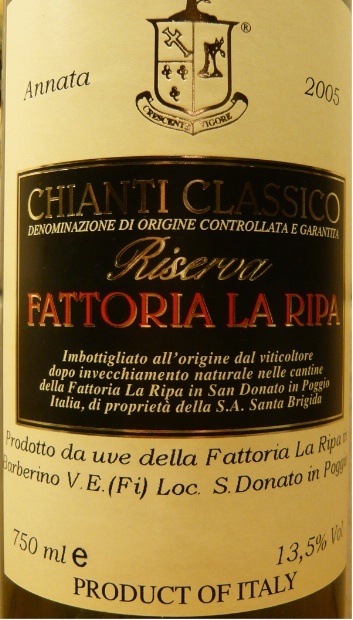 The 2007 Fattoria La Ripa Chianti Classico Riserva makes a delicious highly rated Chianti from Certified Organic Grapes. The property was owned by Monna Lisa’s father way back in the 15th Century. I’m sold on the Story alone. Price of the wine $24. 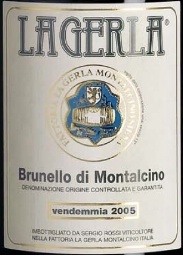 If you want to go High End Sangiovese (The Main Grape Varietal In Chiantis) for $40 why bother with a generic, sold everywhere Chianti why not kick it up a notch to one of the finest, easiest drinking Brunello Di Montalcinos from La Gerla. I visited this winery in October and the property is amazing and their style of making Brunellos are very approachable even at young ages. Both the Chianti and the Brunello are selections of my favorite Italian Wine Importer in Florida Nadia Galati. 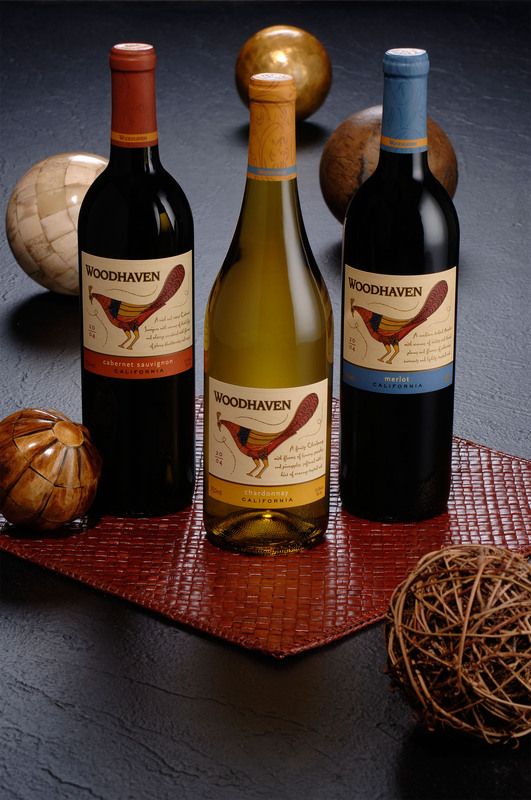 These wines are available in fine wine shops all over the USA and I can guarantee you that either choice will not have a Mail In Rebate for a free jar of Pasta Sauce!! If anyone understands being on a tight budget it is me. Since I was a kid I was taught that the thought behind a gift is more important than the actual gift. Wine drinkers you are buying gifts for know the difference between a Wine sold everywhere and a Wine that you put some thought into and had to physically go speak to a wine expert like myself even if the cost of the bottle was under $10.00 per bottle. As for me, I love receiving Wine As Gifts to fill up my little chiller. In fact I’m Dreaming Of A Wine Christmas but if you give me a bottle of wine I see everywhere you can turn my DREAM into a NIGHTMARE. Hey Larry! So, I finally got around to opening the Pendulum. THANK YOU for the recommendation. You are right on the money when you say it is a smooth drinker. I am loving every drop. Happy New Year, good sir! PreviousStop Talking TURKEY And Talk THANKSGIVING!! NextBergevin Lane Winery Re Visited…With A Killer Syrah! !